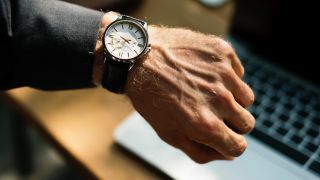 While it can be difficult to precisely define what time is, it is more relevant to say that “time is what can be measured.” And measure it we do, whether by a clock on the wall, a wristwatch, or the clock app on our smartphone. In order to maximize productivity, we need to not waste time that could be better devoted to productivity, and that also goes for our employees as well. In that spirit, there is software available that can help to manage time, and therefore fully maximize it. These services can provide functions ranging from email reminders to keep a project on track, to team project management, or to tracking for billable hours. Now that we know a little about the possibilities for time management solutions, let’s highlight the best software available in this space. In picking our favorites, we considered features, cost, professional reviews, and user experiences. Timecamp has a number of simple to use functions related to time tracking aimed at maximizing team productivity. The feature set includes billable time tracking, sending invoices based on time spent, an attendance tracker, and team time tracking. It also can integrate with over 50 apps for ease of use, including Slack, Jira and Evernote. There is also Automatic Time Tracking which can be used for employee internet usage monitoring, and to assign an entry to the correct project. The time management software function puts this all together to be able to track a team’s time spent on a project, and also their productivity. There is a free tier for limited use as it only supports a single user. The next higher plan is the Basic tier, that has no limit on the number of users, supports billable time functions, and costs $5.25 (£4) per user per month with an annual subscription. For freelancers and companies alike, Tmetric dubs itself a ‘work time tracker,’ which via a clean interface provides “great control over time intervals and project budgets.” The key is a visual timeline that gives insight into the activities throughout the day, which you can turn into billable hours. Tmetric boasts over 40,000 users, and over nine million hours of time tracked. The process can be automated as there are browser add-ons to directly and seamlessly capture every minute of data to feed back into Tmetric, which is then tracked, to totally capture each and every billable minute. Furthermore, there is support for different currencies, and the ability to track costs per teams, to help maximize income while keeping projects within a predefined budget. Finally, tasks can be tracked by individual team members to follow their productivity, and compared to their peers. There is a free tier that supports up to 5 users. The Professional tier is available for $5 (£4) monthly per user, which adds billable rates, invoicing and to-do lists. The top tier Business plan costs $7 (£6) per user per month, which adds Timesync with Jira and Redmine, and can provide cost rates for employees. Both paid plans have a 30-day free trial available, and there are discounts for an annual plan. RescueTime has the laudable goal of eliminating distractions, and focusing on productivity. It is quite feature-rich, and can set goals, providing the user with feedback such as alerts when daily goals have been met. There is a free plan called RescueTime Lite that can track time used in websites, set goals, and even provides a weekly email report. More serious time management aficionados can step up to the sole choice of a paid plan, known as RescueTime Premium. For the cost of $9 (£7) per month, or a discounted $72 (£57) annually, the paid plan builds on the free offering with additional features including tracking time away from the computer (such as phone calls), keeping a log of daily accomplishments, and the ability to block distracting websites. There is a free 14-day trial for the paid tier. Toggl takes a simplistic approach to time management, with included tracking reminders, and idle detection to make sure the job gets done. It also has cross-platform support, so for example, time tracking can begin in the browser of a desktop PC, and then be stopped on a smartphone with time entries synced between devices; there are mobile apps and browser extensions to accomplish this. Toggl also makes it simple to break down your hours worked, by either the project, by client or by the task, and can then analyze them to determine which is making the best return for the hours spent to facilitate maximizing profits. The Toggl app is simple, but unfortunately it does not support invoicing. There is a 30-day free trial for the paid tiers, and a Basic level is available for up to 5 team members. For managing the time of larger groups, the Starter level has no limit to the number of users, and costs $10 (£8) per user per month, with a discount for annual subscriptions available. Wonder no more “where the day has gone,” with the Chrometa software that can capture automatically the tasks that you and your team work on. It does this by capturing the URL of the website that you visit, the subject and addressee information from an email, and the file info when working on a local file - and stops the clock when you go away from the computer. It also captures, via Android and iOS apps, phone calls and text messages to turn time on a mobile device into billable time as well. Seriously, Chrometa is a billing manager’s dream for their office. There is the offer of a 30-day free trial, but no free plan. The paid subscriptions start with the Solo Standard Plan which costs $19 (£15) per month, and supports a single individual and up to six connected devices – it also provides an hour-long personal training session. There are team plans available as well. Do you need time management software, but have privacy concerns about sending data cloud-wards? ManicTime is downloadable software that is run locally and keeps its data local, and does not connect to some remote server. Just like some other cloud-based solutions, it can automatically keep track of time spent, whether on a local file, or through a website. ManicTime also integrates with task-based systems, like Github or Jira. For an individual plan, there is a free tier which has basic functionality, or the Pro tier that costs $67 (£53) and includes a year of software upgrades.